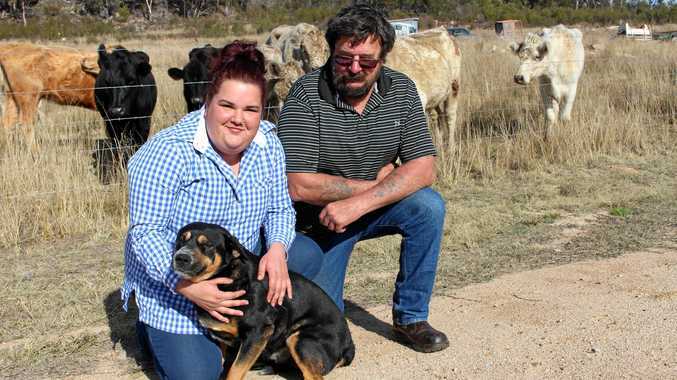 A DROUGHT-stricken Stanthorpe farming family struggling to keep their cattle alive say the death of four calves by domestic dogs could be the final straw. Karen Vanderwolf said that after watching helplessly as the latest casualty, a two-day-old calf, was attacked and killed by a pair of domestic dogs, the family was questioning whether it was worth continuing on the land. "We can't sell these (cattle) because they're not worth anything and we're just trying to keep them alive," she said. "You think, why breed them if the dogs are just going to come and kill them?" Her daughter Annette witnessed a bull terrier cross and wolfhound great dane attack the calf. Without a weapon all she could do was crack a whip and yell in the hope of scaring them off. "They weren't taking any notice of me whatsoever, they weren't scared of people," she said. This is the first dog attack the family witnessed, but they believe the three other calves were also killed by domestic dogs. "We're only a kilometre from town so there's not really any dingos around here," father Erne Vanderwolf said. He urged pet owners to take better responsibility. "If you've got a dog that kills things, lock it up, we're so close to town we just have to say we're breeding your dog food," he said. This is not the first case of alleged domestic dog attacks in the region. Stanthorpe police Senior Sergeant Gerard Brady said there had been reports from Sugarloaf, Liston and on Texas Rd in recent months. "If people are lawfully hunting they need control of their dogs," he said. "If the dogs do stray, the property owners are entitled to destroy the dog." 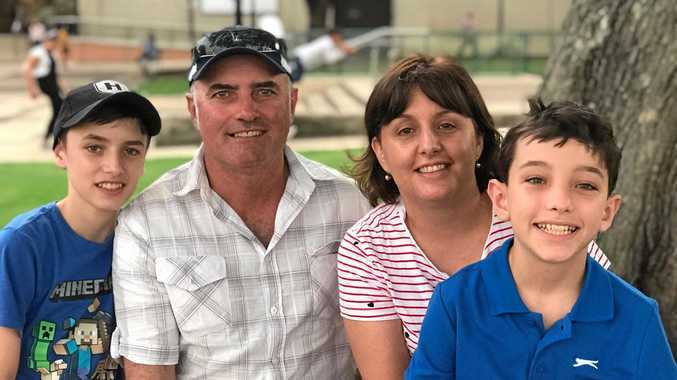 Southern Downs Regional Council local laws officer Pamela Brown said the onus fell on pet owners to keep their animals in a suitable enclosure on their property. If you see a dog attacking your livestock, phone the council on 1300 697 372 to have the dog removed.